One of my favorite places in all of Aggieland during the summer is La Bodega. In College Station, I feel like there are two feelings about La Bodega: you either love it or hate it. Personally, I love it. I've never been dissatisfied with anything I've ordered there. A lot of people complain that their tacos aren't like baja tacos in California and not like Tex-Mex tacos you find in Texas. I don't care about those things because once you eat one, you know that even though they don't fall under either of those categories of tacos, they're still pretty damn good. Now, are they the best tacos you can get in Bryan and College Station? No. But that's another post for another time. 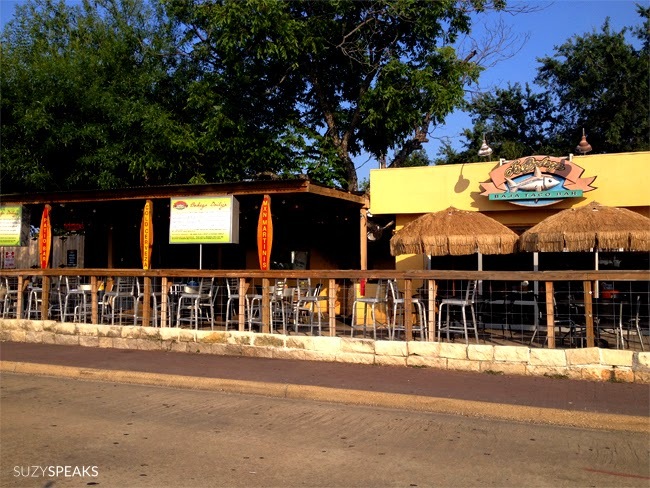 One thing that can't be denied is La Bodega is a great place to come during the summer for happy hour. They have a nice, covered outdoor seating area for those hot summer days. It's rarely overpacked. You can actually hang out and hear the other people at your table. (That's super important for me at happy hour.) Also, they allow dogs on the patio from 2:00pm to 6:00pm everyday and give them free doggie treats while you eat and drink. There's nothing I love more than going to happy hour and getting to play with someone's puppy. 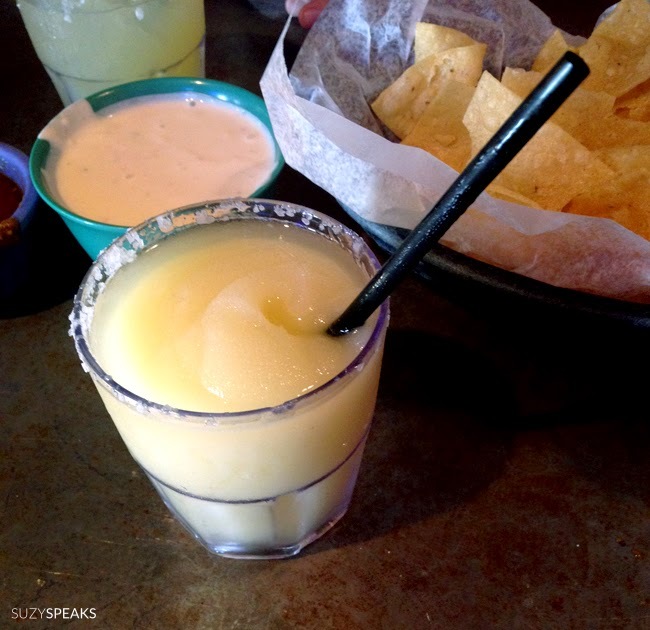 Personally, I like going on Tuesdays for the $2 margaritas and $2 queso. It's fun to just hang out on the patio, drink, and munch on some chips and dip. 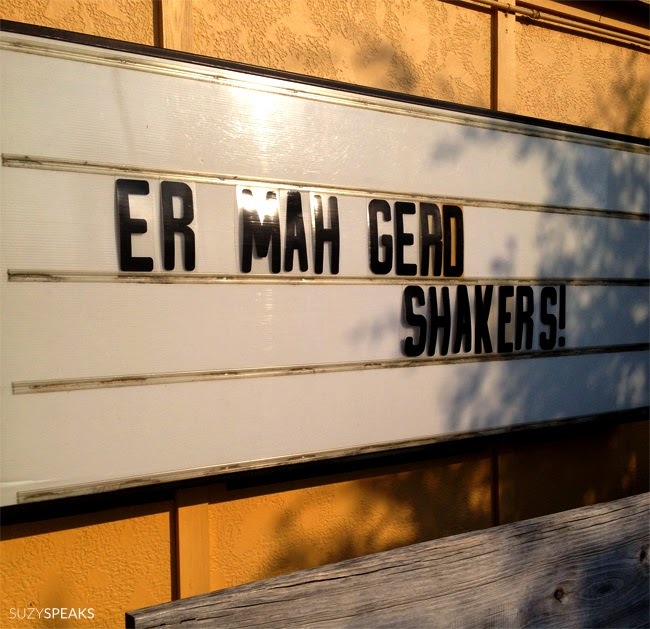 Occasionally, I'll go on ladies night if I'm in the mood for a shaker. What is a shaker, you ask? It's basically a margarita or specialty martini they serve in a shaker. Literally, you drink it out of the shaker. Ladies, be warned. There's a reason these drinks are expensive (in Aggieland, at least). Drink one, you'll get a good buzz. Drink two, you're drunk. Don't go beyond two or you'll end up blacked out on Northgate and waking up the next day wondering how you got so drunk at 6:00pm. When I say these shakers are expensive, I mean I really don't actually know how much they cost because I only go on half-price shakers days and have never paid full price for one. They don't say the price on the menu, but if I use my Aggie math skills, I'm guessing they're usually $11 after 7:00pm. If we have to pay more than $5 for a drink on Northgate, we better be drinking liquid gold. Am I right, Aggies? The only thing I don't like about La Bodega is the parking situation. Since one of their sister restaurants, Cafe Eccell, changed locations and a new apartment building (I mean, really? Do we need another apartment complex?) is being built in it's place, the parking has been all kinds of screwed up this summer from the construction. There are basically like 6 parking spots for La Bodega next to it and then you're pretty much paying for parking if you're not one of the lucky ones to get one of those spots. Overall, I think you should give La Bodega a try next time you do happy hour. It's a fun, chill atmosphere that's great for college students or twenty-somethings. If you want to check them out, visit their website or you can find them on Northgate on Church Ave right off of Wellborn Road. Have y'all tried La Bodega? Where are some of your favorite places for happy hour?